It is known that the most persistent and most troublesome nuisance that any pet and his or her owner can encounter are fleas. Apart from causing constant itch for your pet, flea infestation has some other, less known, but far more dangerous aspects. 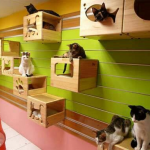 But you can protect your pet from flea-borne diseases. Fleas are parasites. What this means is that they are living form that thrives upon feeding on other living beings. By feeding on their host, parasites grow ever stronger, while their host weakens significantly. Do not let this happen to your own pet! You owe it to both your pet and your family to make sure that any potential parasite infestation is discovered and dealt with in time. As fleas are external parasites, it is true that your pet has less risk of contracting them during some times of the year rather than during some others. However, fleas can sometimes carry another parasite themselves, this time internal ones. Tapeworms are parasites which present a serious threat to both your pet and your family and as such, are truly a thing to look out for. Also, while it is true that external parasites are quite season-dependent, the same simply can’t be said for the internal ones, making them far more dangerous. 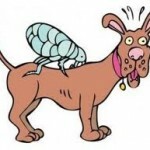 There is one more myth, about flea infestation that needs to be debunked as soon as possible. 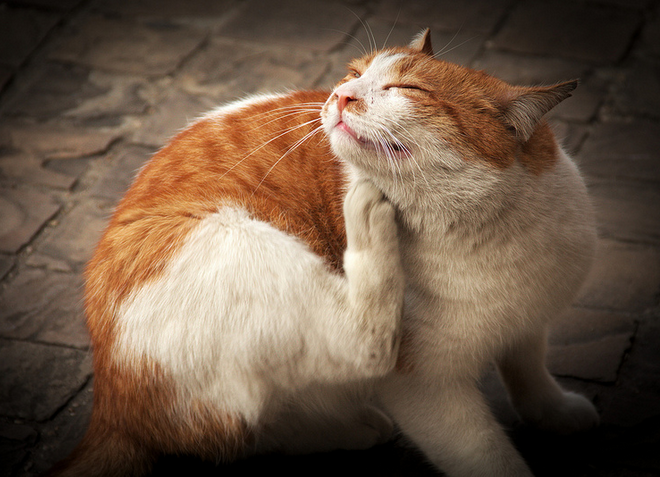 This myth states that it is impossible for your pet to contract fleas if it never goes out. 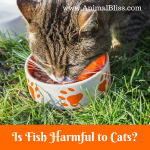 Firstly, it is not healthy for your pet to stay always indoors. Still, even if this was the case, other pets that your dog or cat comes in contact with could carry fleas and in some cases, they can even be transported on pets from humans. 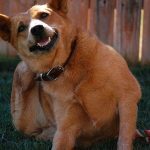 There are many diseases that your dog can get from having fleas. Some of them are more serious than the other ones. 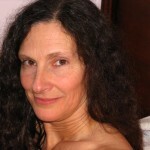 Surely one of the most famous and most recognizable is Lyme disease. 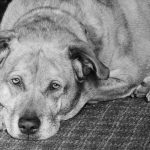 If your pet ever shows indications of the sudden onset of lameness that is from time to time accompanied by fever, anorexia, and lethargy, Lyme disease might be in question. 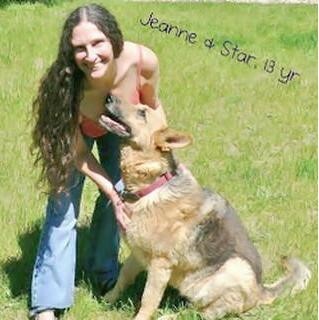 Still, the greatest two problems with Lyme disease are first, the fact that it may first appear long after fleas on your pet are gone and second, the fact that it can easily be transmissible, again via fleas, onto humans as well. The best solution here is to vaccinate pets that are constantly outside. Related: How to Safely Remove a Tick From a Dog, Cat or Even Yourself, EWW! Another example of dangerous flea-borne disease, both for pets and their owners, is Bartonella. This horrible affliction functions in the way that it invades red blood cells and uses the cell’s membrane as protection while multiplying. It can be diagnosed by a detailed blood work and it is highly treatable with the use of antibiotics. However, probably the most dangerous affliction in pets, in general, is the case of Tapeworms. Tapeworms are transmitted via fleas that are in grooming and they live in the digestive tract, constantly reproducing. The best way of dealing with them is to treat your pets with worming tablets which are quick, reliable and efficient way to keep your pet parasite free. As mentioned several times before, some of the parasites are season dependent. However, this does not mean that when it’s not their season your pet is 100% protected. The only way to completely protect your pet, from both internal and external parasites, is to look out for them during the whole year. Wash your hands before and after playing with your pet, and keep your apartment clean and your backyard neat and orderly, if you have one. Also, there are some preventive vaccinations that are simply necessary in order for your dog to be properly protected. After all of this is covered, enjoy playing with your pet, but don’t forget to look out for any signs or symptoms of parasites. Take care of your pet, and it will return all of this many times over with its unconditional love. 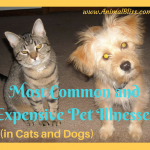 Have you ever had to deal with flea-borne diseases in your pets? The cattle parasite I’m talking about is the lungworm. Your horse can ingest them by eating grass in a pasture that has been infected with it’s larvae (what we call a worm like this in it’s very young and immature stage of life). Thank you for that information, Dinta. It is important to be informed about issues such as this. I appreciate you sharing the info.